As promised, I’m going to take a closer look at the TV shows I watch, if for nothing else than it makes me feel more productive while watching them. I’ll kick off with the beginning of the week on Sunday nights. ABC wins with the most shows I watch: REVENGE, ONCE UPON A TIME and 666 PARK AVENUE. But AMC’s THE WALKING DEAD narrowly wins with the ‘Must Watch The Night It Airs” award. Now in the start of its sophomore season, REVENGE still manages to deliver on the thrills and suspense it created last year. The new twist, at least for the start of the season, is that Amanda’s mother is still alive and has arrived in the Hamptons. So far the show is keeping its pace and introducing enough new plot elements and characters to keep from feeling stale and treading down the exact same path as last season. Also in its sophomore season, ONCE UPON A TIME is still full of magic and surprises — with the caveat that it needs to do a little more soul-searching this season to figure out how to keep the story progressing forward. 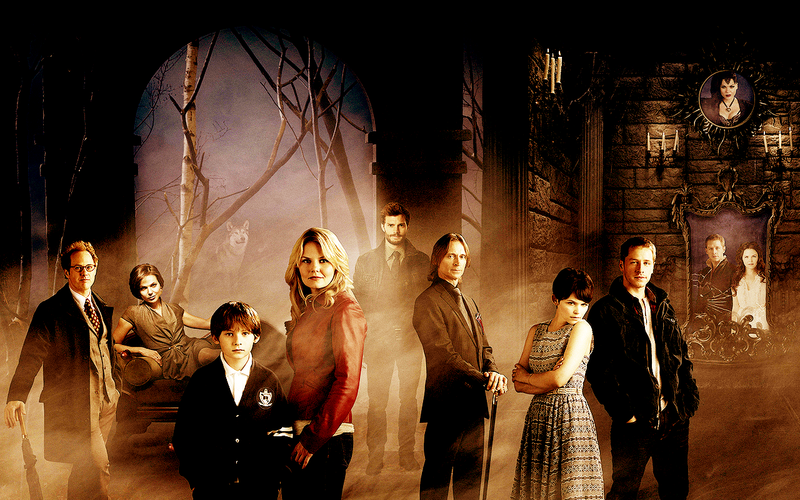 OUAT follows the citizens of Storybrooke, Maine. All are storybook/fairy tale characters banished by the Evil Queen to our world with no magic and no memory of their former lives. Now that magic has returned to them, they have their memories and two of the main characters are back in the fairy tale world. Although there have still been flashbacks, the story is now split into a third narrative string (present/real world, present/fairy tale world, and flashback/fairy tale world). Part of the charm of the show is how they crossover and weave the stories between the two worlds, so it’ll be interesting to see what happens as the show moves forward and how they balance telling all the different parts simultaneously. 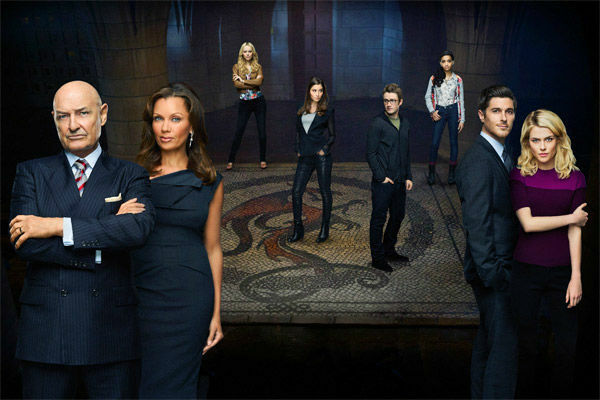 A debut show, 666 PARK AVENUEhas a lot going for it. The devil (?). High society New Yorkers. A decent cast. A spooky apartment building. This one still needs to find its stride a bit. It’s part mystery-of-the-week, as (typically) a new person is profiled who has sold his/her soul for some gain, and part serial mystery, as Jane works to uncover the secrets of the Drake. It has its moments, but sometimes the pacing feels off. However, I’ll be patient with this one — it paid off last year with GRIMM, which I felt the same way about when it debuted. “WOW” doesn’t even begin to sum up how this season has kicked off. 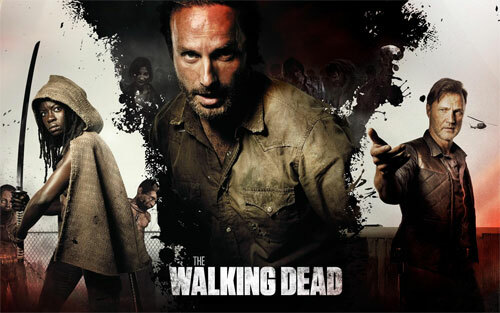 I was a late-comer to THE WALKING DEAD— I watched all of Season 1 on Netflix during the mid-season break of Season 2 last year, read online how the first half of Season 2 played out, watched the second half of Season 2 live, then finally went back over the summer to see the episodes I missed. When it was on the air, Season 2 took a lot of flak for starting off slowly. I didn’t mind it so much, probably because I enjoy the character development but also because of the order I ended up watching that season. So far we’ve been following our favorite zombie survivalists in two groups. Most of them are now stowed away inside of a (mostly) abandoned prison, while Andrea and newcomer Michonne have found themselves in the town of Woodbury with the Governor. Not having read the comic books, I’m excited to see where the rest of the season goes (since SO MUCH has happened in just the first few episodes) and it’s been neat getting glimpses into the way other groups have been surviving. It’s shaping up to be a rollercoaster season for sure. Merle!?! Can’t wait to see what happens between him and Darryl, especially since they’ve each changed so much since they last saw each other.